You may think the Civil War was a purely land-locked conflict; 1 waged & raged relentlessly across battlefields anchored on US soil. 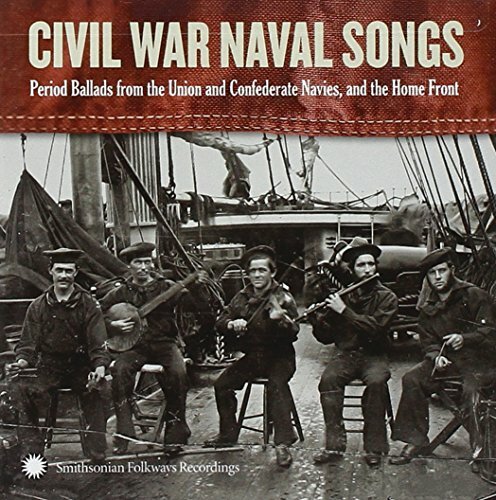 That's until now... with Dan Milner leading the charge, Civil War Navy Songs commemorates the 150th Anniversary of the Civil War's start -- April 12, 1861, when Confederate forces fired on Charleston, SC harbor's Ft Sumter-- & delving head-long into pivotal roles Confed. & Union naval forces played during the War. All songs were hand-picked from Union, Confed. & UK sources & perfected throughout with verve & tenacity by Dan & a cadre of acclaimed singers/musicians. If you have any questions about this product by Smithsonian Folkways Recordings, contact us by completing and submitting the form below. If you are looking for a specif part number, please include it with your message.